When it comes to managing your commercial property, you know curb appeal plays an important role in drawing in customers. Your parking lot, though less glamorous than landscape or lighting options, sets your entire property’s ambience. Don’t let your worn-out asphalt deter potential buyers—work with a professional to restore a clean, fresh surface. If you’d like a perfectly smooth parking lot, trust Hal’s Construction, Inc. with your commercial asphalt repair in Tualatin, OR. We want to help local businesses achieve a professional look. Managing a property comes with a lot responsibilities, and you must remember that a beat-up parking lot affects more than just aesthetics. It also creates a liability issue. A well-maintained parking lot protects your customers from trip-and-fall injuries and vehicle damage. We work on a variety of commercial paving needs, including tennis courts and tracks. Our experience includes resurfacing projects for apartment complexes, retailers, grocery stores, and schools. 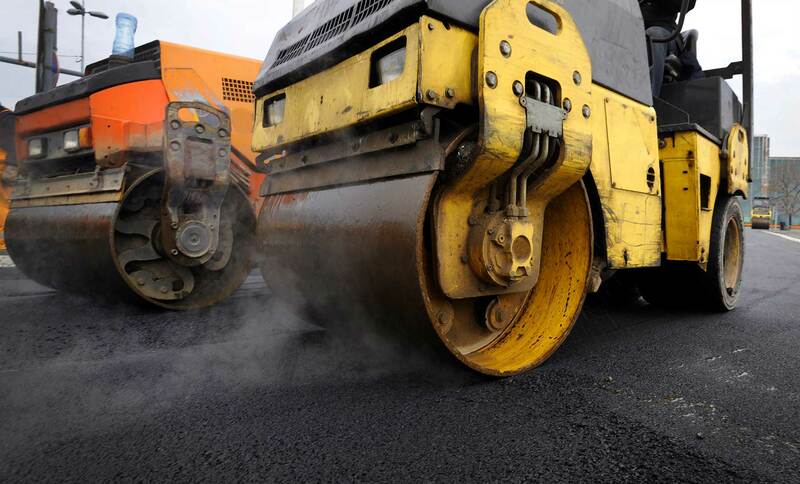 And while we handle any asphalt project, big or small, we’ve tackled a number of large projects as well. For example, we can efficiently repave your commercial parking lot, no matter the size. We’ll excavate the area, grade the base, and lay the asphalt. We often follow this process with a layer of sealcoat. Afterward, we work with you to make sure you’re satisfied with the commercial asphalt repair at your Beaverton, OR property. We’ve been in business since 1973 and received a 40 years of excellence review. We’re known for our quality product and superior customer service because get the job done quickly and effectively. If your asphalt has crumbled and cracked and you need commercial asphalt repair in the Portland, OR area, contact us. You can talk with one of our professionals and get a quote on your project.